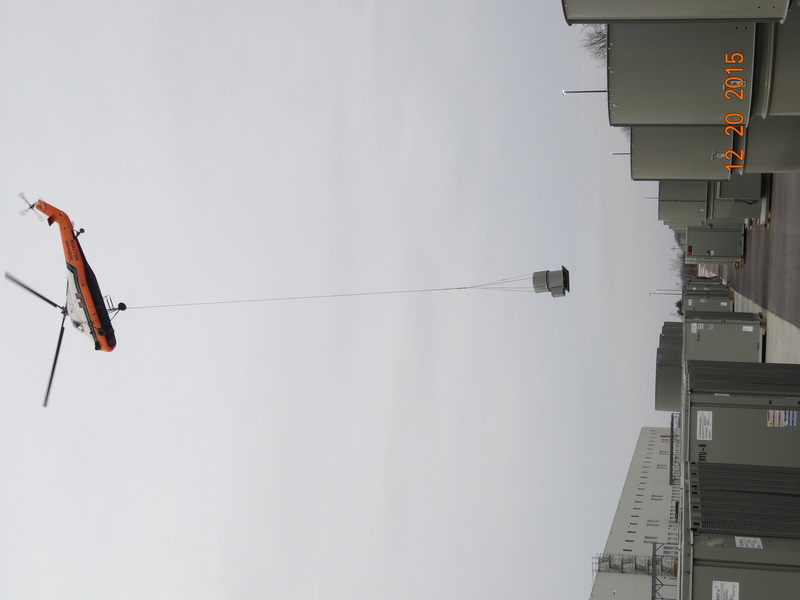 135 Trane rooftop units and Greenheck fans were set on the roof of the future Amazon distribution facility. 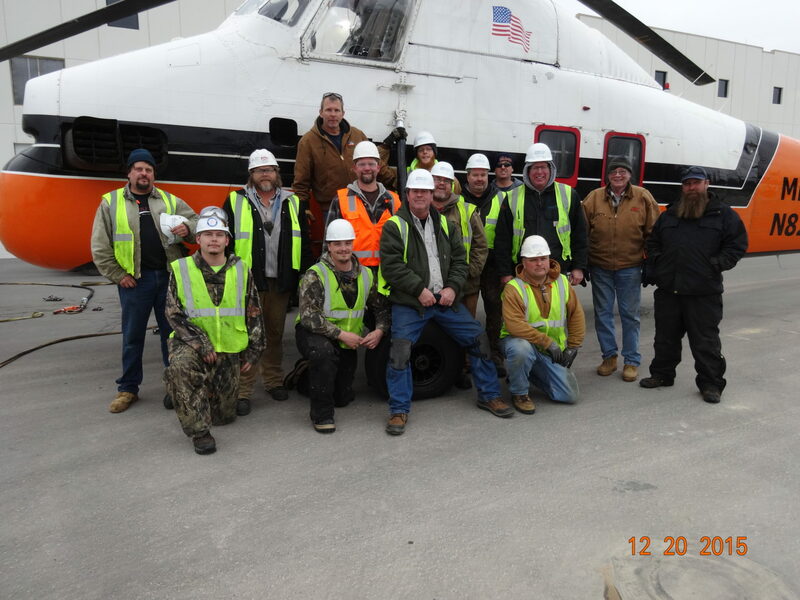 Units were lifted by the Allan Mechanical team with the help of a Chicago-based helicopter crew. In order to set all units in one day, the two teams had to lift and set one rooftop unit every 2.5 minutes. 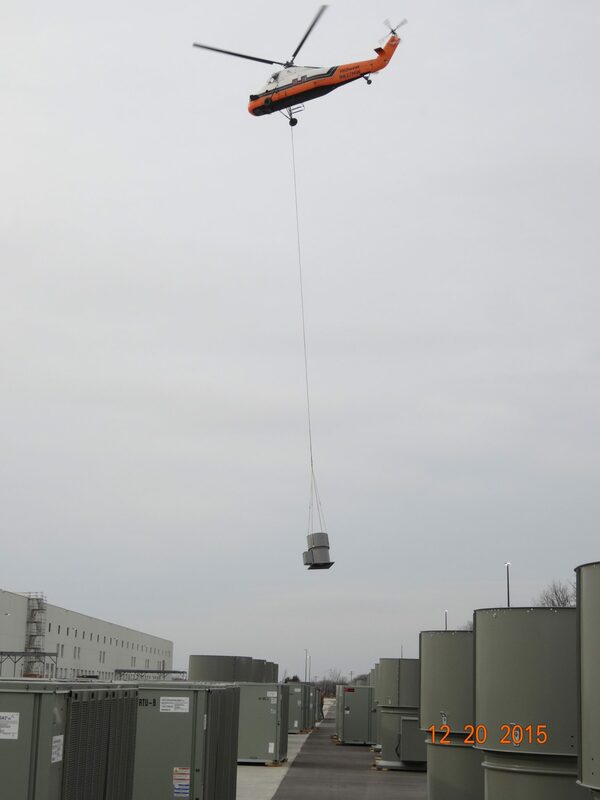 The helicopter also set all of the exhaust fans and make-up air units for the space, like this 30,000 cfm fan. 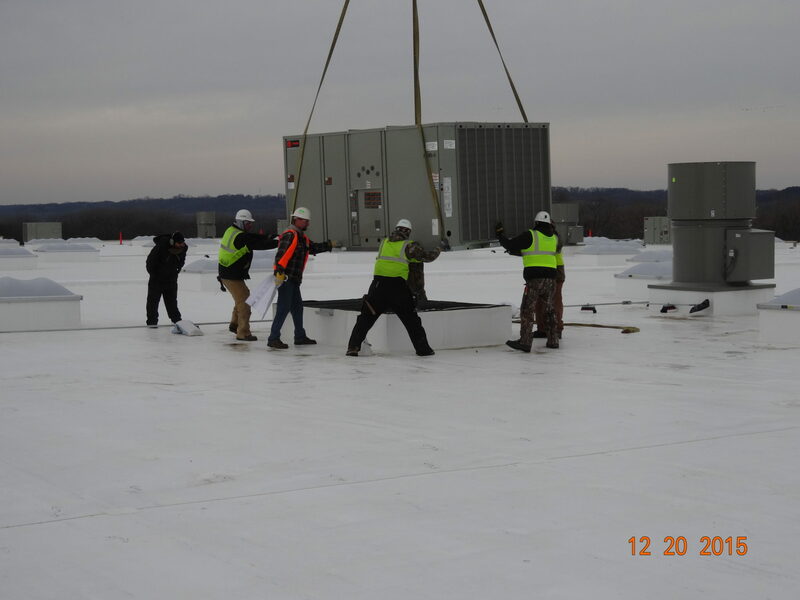 Half of the Allan Mechanical team guiding the Trane rooftop unit into place. The other half remained on the ground preparing each rooftop unit for its hoist. It around 7 hours for a team of 11 to successfully hoist and set around 150 pieces on the roof of the new Amazon distribution center. A huge thank you and happy holidays go out to our Allan Mechanical team who made such a critical afternoon run flawlessly.